It’s the toughest truck on the market today. The 2019 Ford Super Duty line of pickups offers a whole host of best-in-class features and capabilities. Whether you’re working on the ranch, hauling materials to the jobsite, or just enjoying the weekend with your family, a Ford Super Duty is extremely capable. How capable is the 2019 Ford Super Duty, you ask? Learn more about what these Ford trucks can do, courtesy of South Bay Ford Commercial in Hawthorne, CA. Inside the 2019 Ford Super Duty pickup, you’ll find an interior with the features you demand like SYNC or SYNC 3, rearview backup camera, and driver-assistive technology. You’ll also discover comfortable, secure seating for up to six people. Choose the F-Series Super Duty you want with room for six adults to make any trip, long or short, relaxed and enjoyable. It’s perhaps what the 2019 Ford Super Duty is best known for. 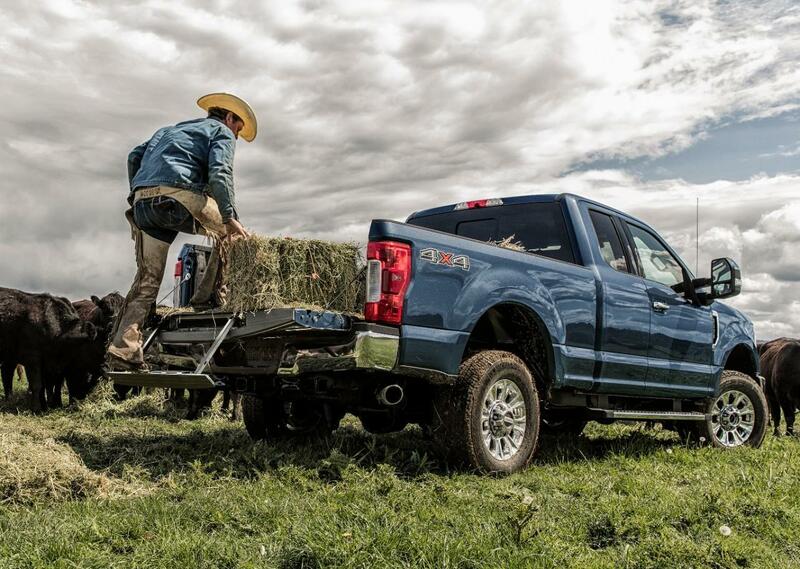 You won’t find a pickup truck more capable of trailering anything you need than the Ford Super Duty. Thanks to a fully-boxed frame made of 95 percent high-strength steel, perfectly-matched suspension, a trailer hitch built into the frame, and tough-as-nails drivetrain and engine options, conventional towing capacity in the 2019 Ford Super Duty is 21,000 pounds. Gooseneck towing is also the best in its class. Hook up a livestock trailer or flatbed and haul up to 35,000 pounds when properly equipped. Fifth-wheel towing is an impressive 27,500 pounds as well, making the Super Duty the most capable truck you’ll find. Stripping 350 pounds from its body weight and stiffening the frame by a factor of 24 affects payload abilities more than you can imagine. As the best in its class, the 2019 Ford Super Duty offers a maximum payload rating of 7,640 pounds. That’s nearly four tons! And with class-exclusive BoxLink cargo securing accessories, LED box lights, and a class-exclusive tailgate step and remote tailgate release, the Super Duty makes hauling large payloads easier too. Add stowable loading ramps from Ford accessories and see the job take even less time. All the hard-working abilities in the Ford Super Duty trucks are possible only if you can drive the vehicle safely. The 2019 Ford Super Duty makes short work out of every trip. Class-exclusive Adaptive Steering automatically adjusts steering response relative to vehicle speed. That means that, no matter how fast or slow you’re driving, in forward or reverse, steering effort is the best it can be. Of course, the Ford Super Duty’s capabilities are compliments of an incredibly strong powertrain. Choose from either the gas-powered 6.2-liter V8 with 385 horsepower and 430 lb.-ft. of torque, or the indomitable 6.7-liter Power Stroke Turbo Diesel engine. Pushing 450 horsepower and 935 lb.-ft. of torque, nothing will stop you in the 2019 Ford Super Duty. 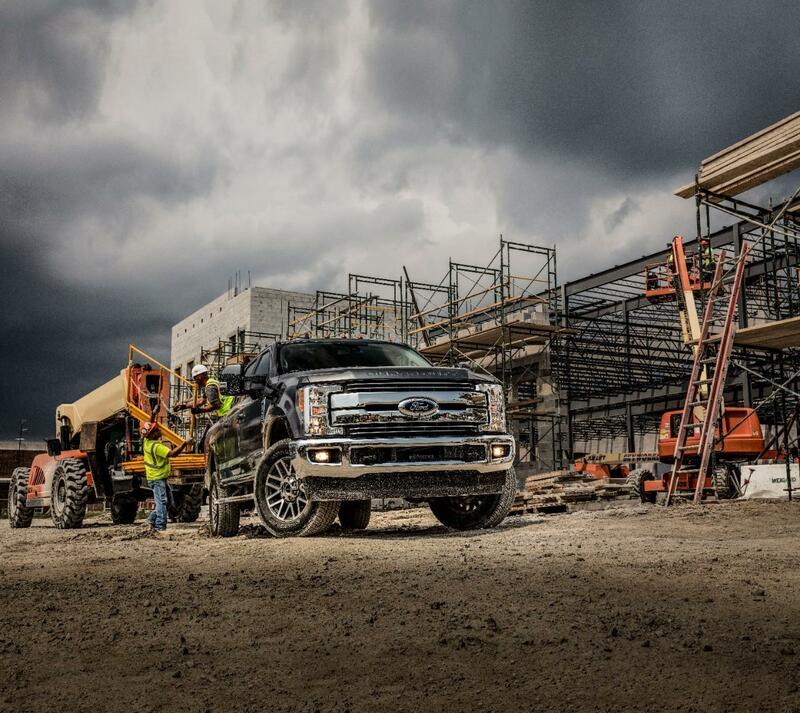 If your work or play demands the toughest truck available, look at the 2019 Ford Super Duty. We have more Ford work pickup truck here than anywhere else. In Hawthorne, CA and the surrounding areas, visit South Bay Ford Commercial to discover the right Super Duty for your needs.